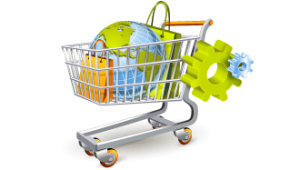 Shopping Cart Integrations From Webati - See What It Can Do For Your Business! Home » Shopping Cart Integrations From Webati – See What It Can Do For Your Business! Shopping Cart Integrations From Webati – See What It Can Do For Your Business! The bottom line is that Webati offers superior shopping cart integrations at affordable prices. Many times, business owners often take the process of choosing the right shopping cart platform too lightly. However, it is one of the most important decisions you can make when it comes to your online business. Here at Webati, we offer a wide array of the leading shopping cart platforms on the market today. It is our pledge to our clients that their shopping cart integrations will be seamless and that the solution we help you choose will easily grow with your business, whether you choose an existing shopping cart solution or we build one from scratch for you. To begin the process, we will provide your IT specialist with the technical support, software, and technical documentation needed to begin the integration process. Shopping cart integrations at Webati are seamless, guaranteed to be glitch free, affordable, and incredibly versatile. From simple customer support functionality to one click upsells, you will be amazed at the wide range of potential features that you have to choose from. We truly can do it all. One of our most popular products is our “One Stop” complete solution. In short, this option will be custom designed to give you all that you need in order for your shopping cart to perform every function that you want it too. If you currently have an existing shopping cart, we can help you either customize and upgrade its functionality or help you migrate to a newer platform altogether. The choice is yours. You will receive complete and simple shopping cart integrations. Depending upon the complexity and scheduling, we can even complete the migration in a matter of days if you are in a hurry. It is our guarantee that your integration will work properly and exactly as you want it to, or we will keep working on it until it does. Depending upon your choice of shopping carts, we can help you utilize almost any technology to enhance its functionality. Hands down, you would be hard pressed to find another company that offers such comprehensive solutions at such affordable prices. If you are interested in shopping cart solutions from Webati, contact us today! Your initial consultation is 100% free! We promise it will be one of the best investments you have ever made in your business.